Brielle Wilson maybe home safe and sound but being kidnapped while on vacation has left her a broken woman. Every day is a battle. When her therapist suggests she takes a trip, she suffers an anxiety attack in the office. Go on another trip? No thank you, not after her last one. But fate gives her the push she needs when a college girlfriend calls and asks her to attend a wedding on the other side of the country. She only hopes she won’t regret her decision. After a couple of harrowing missions, Navy SEAL Tim ‘T-Rex’ Exeter is ready for some down time. When he recognizes a blonde at a bar, while he is away, as the woman he rescued on a recent assignment, he’s intrigued and drawn to her in a way he never has before. When she experiences a PTSD attack, he’s compelled to help. Under the worst of circumstances, he finds himself wanting to protect her and keep her close by his side. Will spending time with Tim be a constant reminder of the horrors she only wants to forget, or will he give her the strength to move forward? 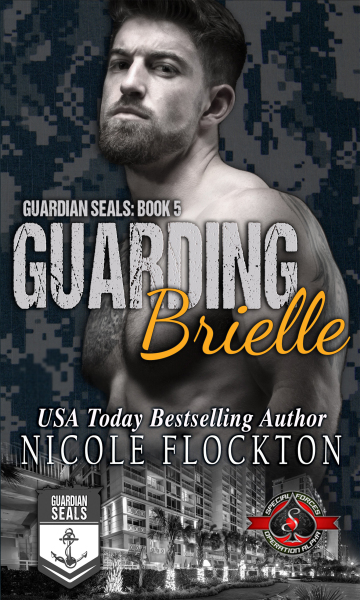 When the threat against Brielle’s life becomes real again, Tim will do everything in his power to bring her home, no matter what the cost.